As Asia’s poorest country and the deadliest for aid workers, rugged Afghanistan offers a considerable challenge to humanitarian work. The country's four major operators (Roshan, AWCC, Etisalat and MTN) share 18 million subscribers, according to a 2012 report by Research and Markets. Mobile Money, one of the most commonly used ICT services, allows Afghans to safely and securely transfer money, in some cases internationally, using mobile phones. Currently all four of Afghanistan's major telecommunications operators provide money transfers. In March, USAID partnered with other agencies to promote a new electronic salary payment programme. The project aims to disperse salaries to more than 30,000 teachers in about 200 schools across Afghanistan by 2014. SMS or Interactive Voice Response (IVR) messages give Afghan farmers and traders information on crop and livestock prices in specific locations. In partnership with USAID and Mercy Corps, Roshan launched the Malomat service in 2010 - currently nearly 600 farmers and 19 traders are participating in 15 provincial markets. Malomat provides farmers and traders with wholesale prices for agricultural commodities - aiming to improve farmers’ livelihoods and thus providing a disincentive to farmers to engage in opium production. Emergency hotline services: WFP's Beneficiary Feedback Desk is an example of how such a service can improve the distribution of aid. The hotline was launched through a series of radio adverts in three provinces last year. The mobile phone hotline operators told IRIN they quickly started getting calls from all over the country. Operators call back those who hang-up after a couple of rings, in case they lack phone credit. They say they receive complaints and suggestions on aid delivery. 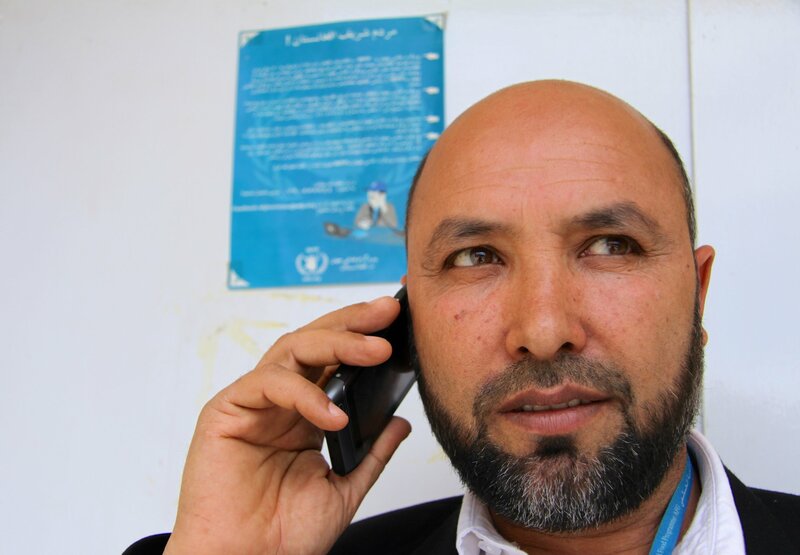 One young Afghan woman used the phone line to expose a man in her village who had set up fake literacy classes to benefit from WFP aid. In another case, in an insecure and impoverished part of Ghor Province, students were able to use the hotline to negotiate the safe delivery of WFP aid - something that had not been possible for eight years. “Access is one of the biggest issues in a country like Afghanistan. We can only help those who we can access. There is always conflict in this country so we can't visit every part of the country to see who is vulnerable and who needs assistance,” said WFP information officer Wahidullah Amani.